Il nuovo album dei RAZZAPPARTE di Viterbo, attivi dal 1995. 12 tracce tra Oi! e HC con qualche episodio dub. Artwork a cura dell'illustratore messicano CHema Skandal. 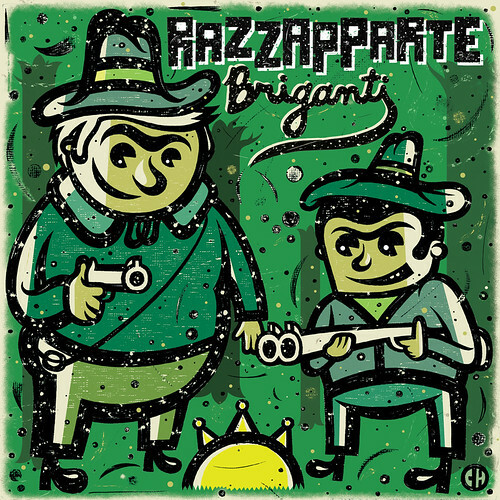 Brand new album from Italian band RAZZAPPARTE, active since 1995. Oi! meets HC and heavy dub. Artwork by mexican illustrator CHema Skandal. TRACK LIST: 01. VIVI! / Live life! 02. MILIZIA / Militia. 03. LIBERTA' / Freedom. 04. TI ODIO [mp3] / I hate you. 05. RONNIE BIGGS. 06. WORK TOGETHER. 07. 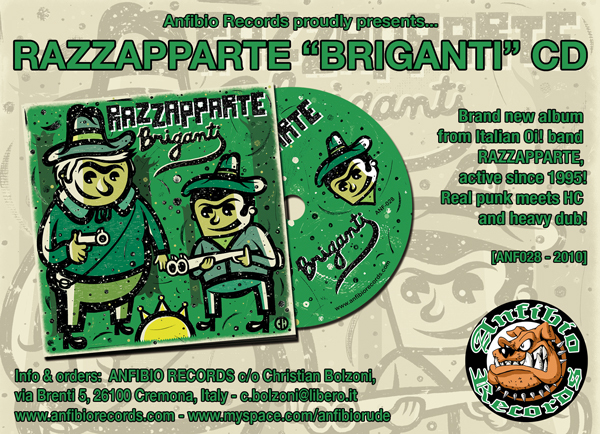 BRIGANTI / Bandits. 08. 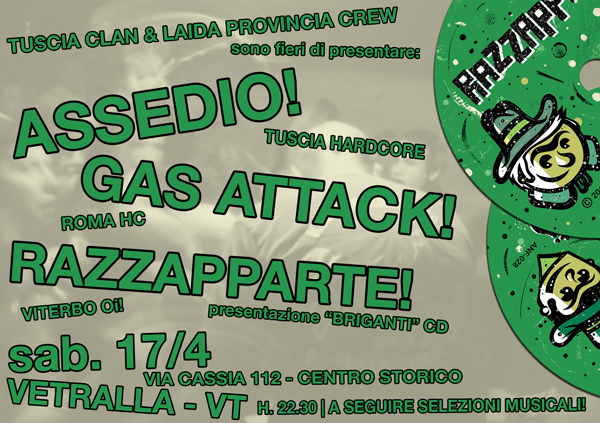 RAZZA A PARTE / A breed apart. 09. OUTRO. 10. TUSCIA REBEL DUB. 11. MILITIAN DUB. 12. SOLITUDINE DUB / Solitude.